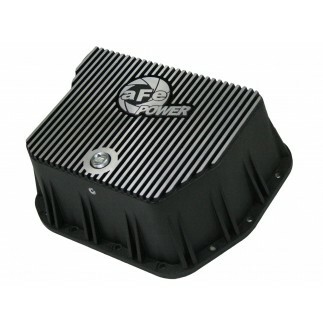 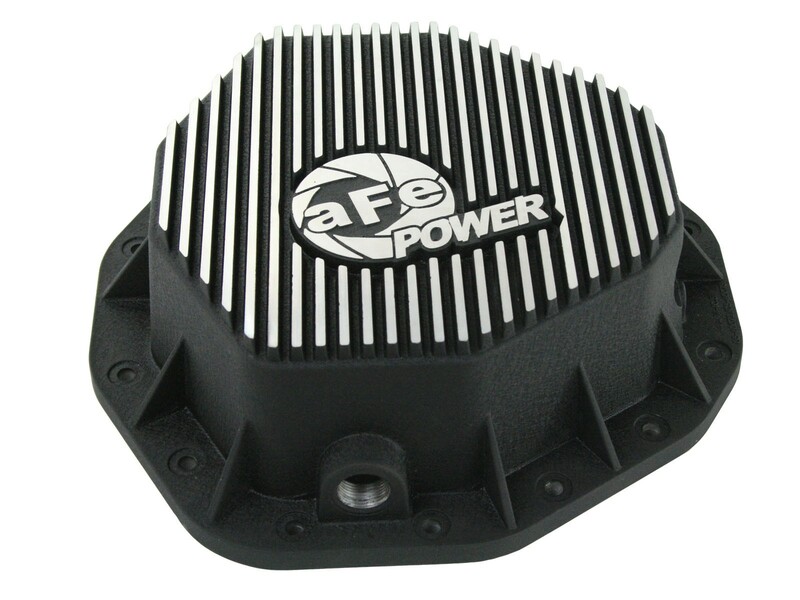 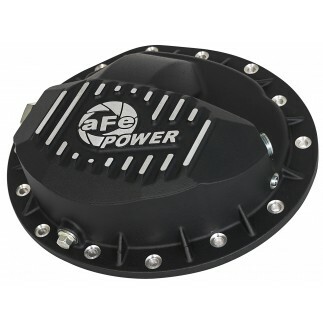 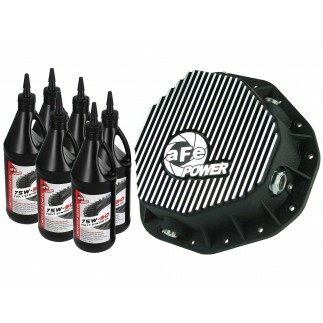 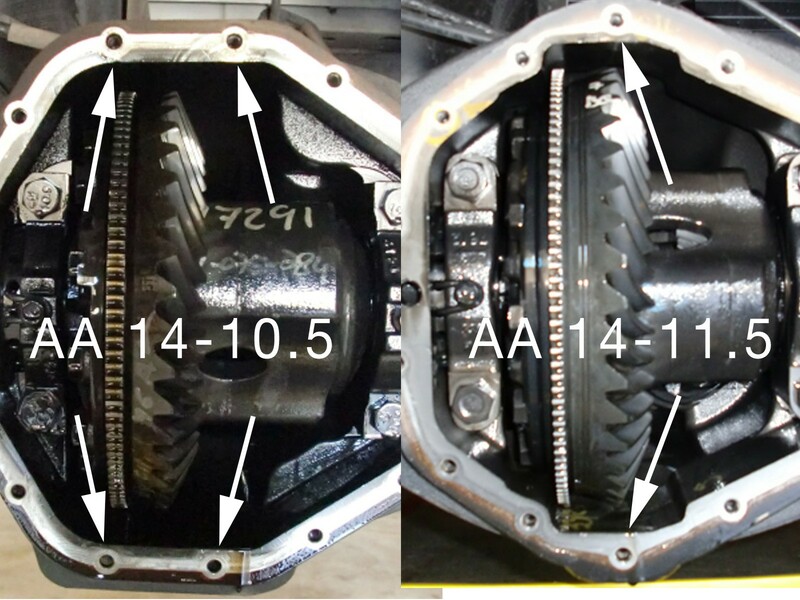 aFe Power's new rear differential cover brings performance engineering to the protection of your axle's differential. 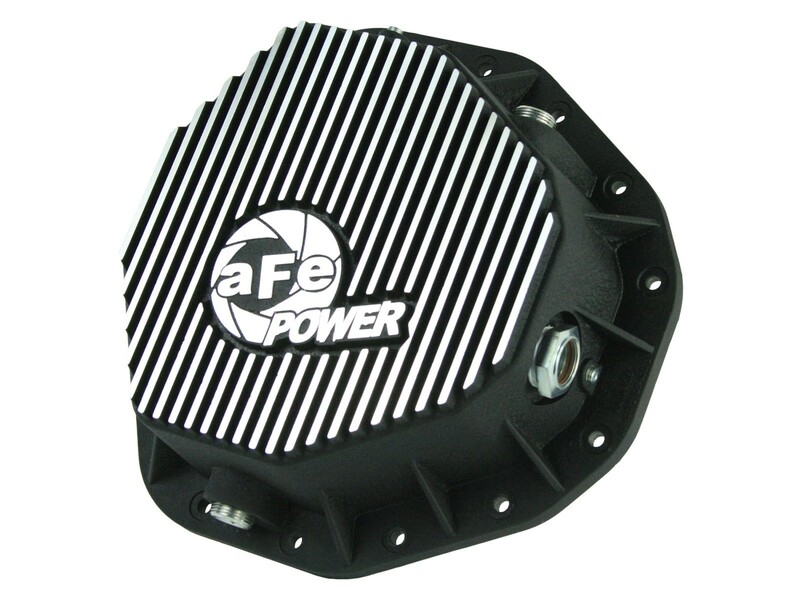 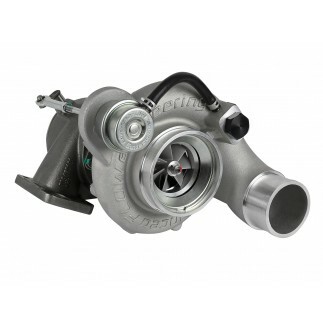 This differential cover is constructed out of durable die-cast A380 aluminum with reinforced ribs and wrinkle black powder-coating with machined fins for maximum strength and styling. 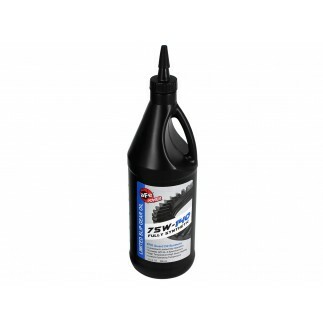 This cover comes with all necessary hardware and includes an O-ring for a leak-free seal. 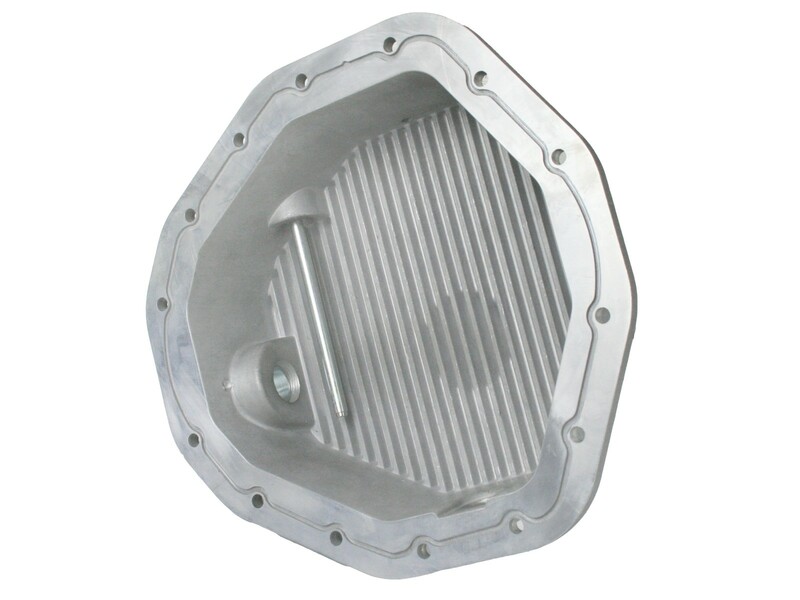 This cover has about a 5 quart lube capacity at the factory line, factory cover holds about 4 quarts. 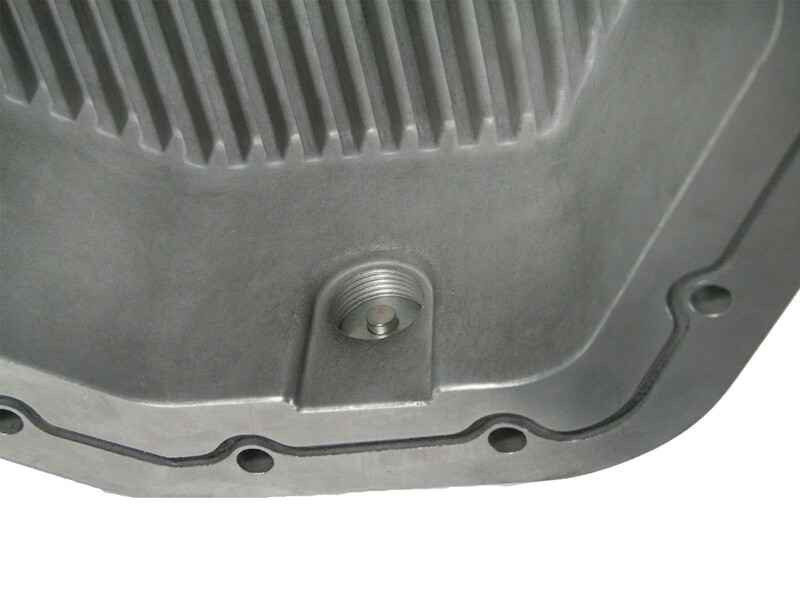 Built-in internal and external fins transfer heat from the fluid to the outside air for maximum cooling. 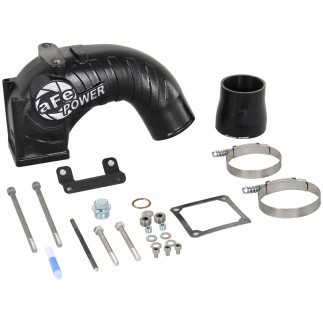 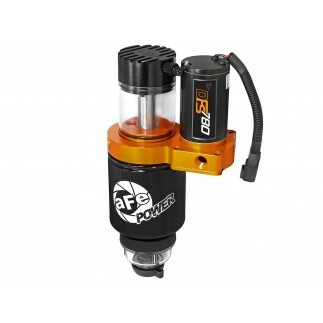 This system incorporates a large magnetic drain and fill plug that captures loose particles for maximum rear-end protection. 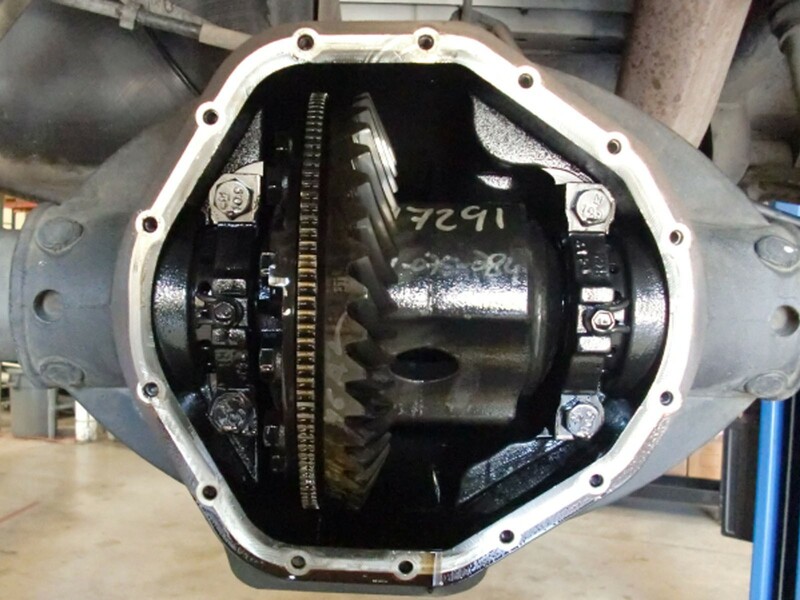 Pre-installed large oil level sight glass with calibration plug set to the factory fluid level to eliminate overfilling. 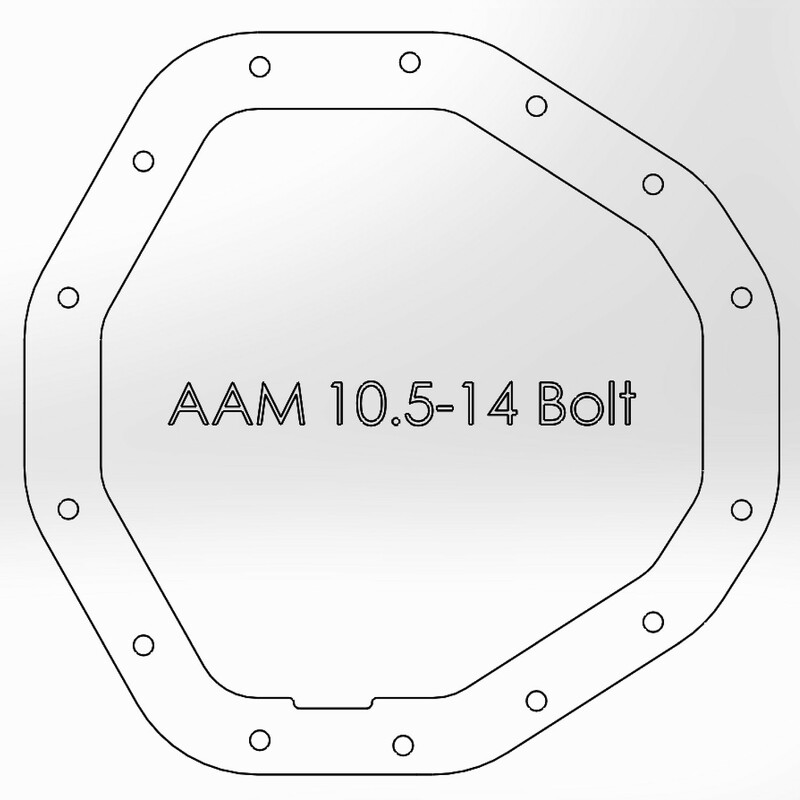 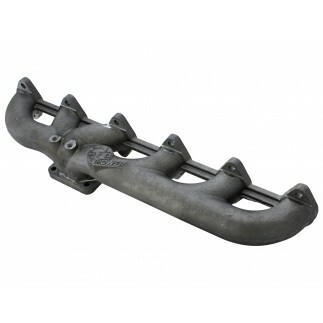 This cover fits the AAM 10.50-14 Bolt Axles.